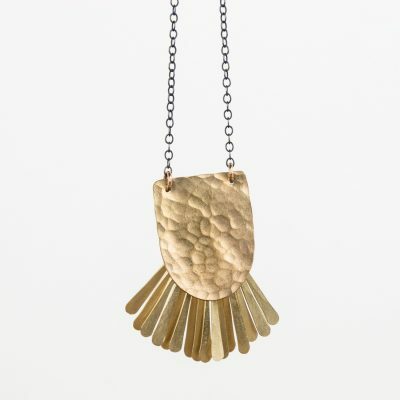 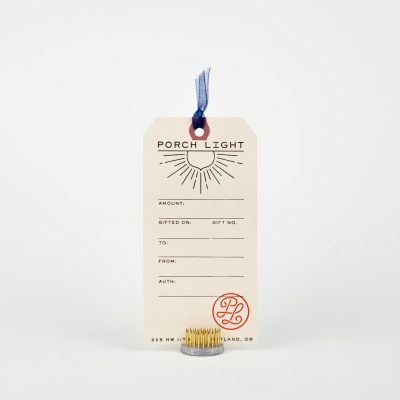 This necklace is designed and hand-made in Oakland, California by Marisa Mason. 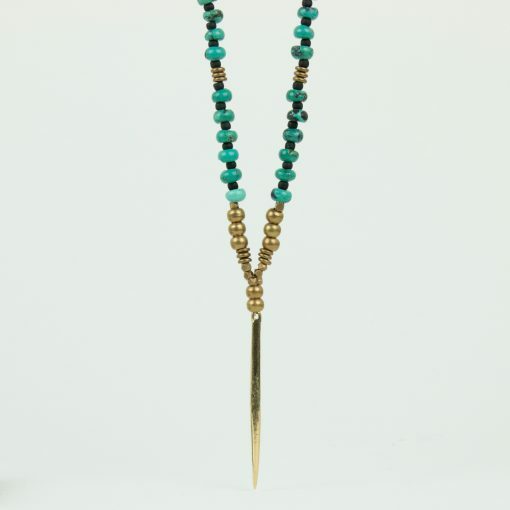 It’s a lovely mix of brass, black beads & turquoise with a brass spike. 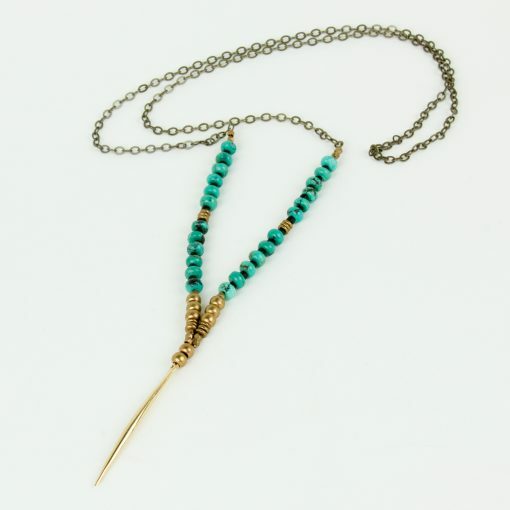 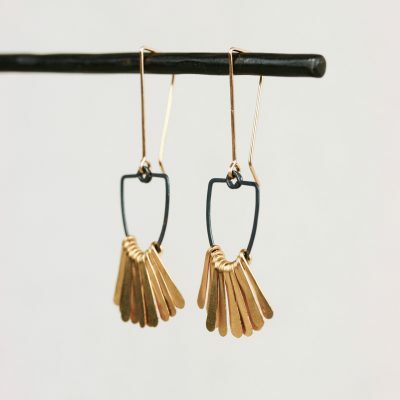 The chain is antiqued brass plated over copper and there is no clasp as this style slips effortlessly over your head. The chain measures 31.5″ and the spike charm measures 2″ long.